For those who love the details, here’s a wall unit that you will fall in love with at first sight. 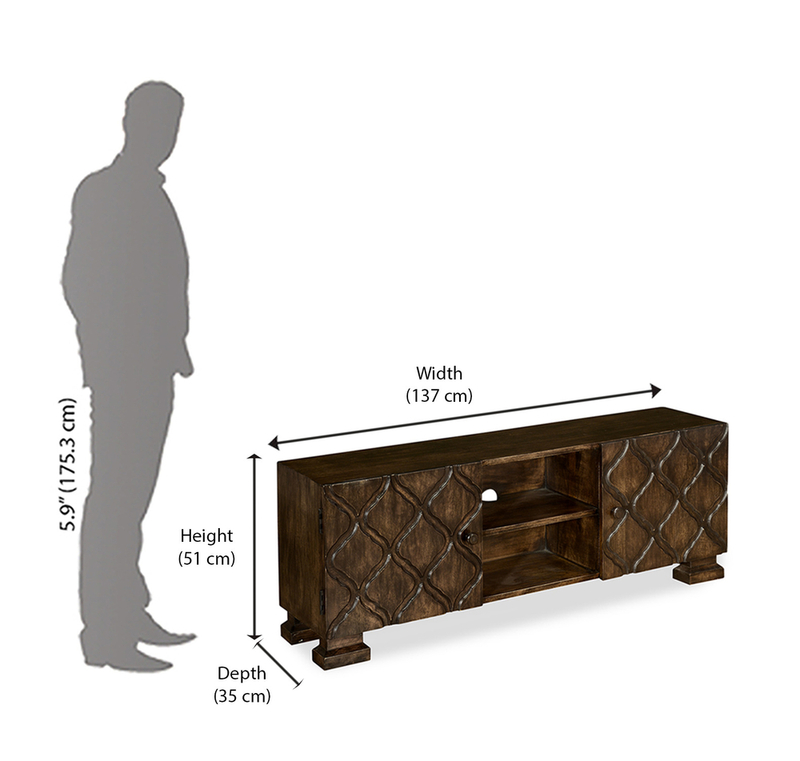 Crafted from mango wood, it features a beautiful combination of open racks and closed storage spaces that have been enhanced with abstract carved patterns. The low height makes it easy to give this wall unit a cosy spot in any room. Keep it in the living room below the television. The open racks can be used to keep the add-on TV gadgets, while the top lends itself to décor pieces such as flower vases. The espresso finish is easy to mingle with different styles of décor, isn’t it? Can be matched with any décor.Plenty of open and closed storage space.Product is Pre-assembled. Avoid keeping very hot or very cold materials on the wood directly, always use coasters or mats,Any spillage should be wiped away with a dry cloth immediately. Most of our furniture is made of natural materials, which will have natural differences and the occasional minor blemish. Avoid floor cleaning water interaction by using carpets & rugs for dining sets & coffee table.